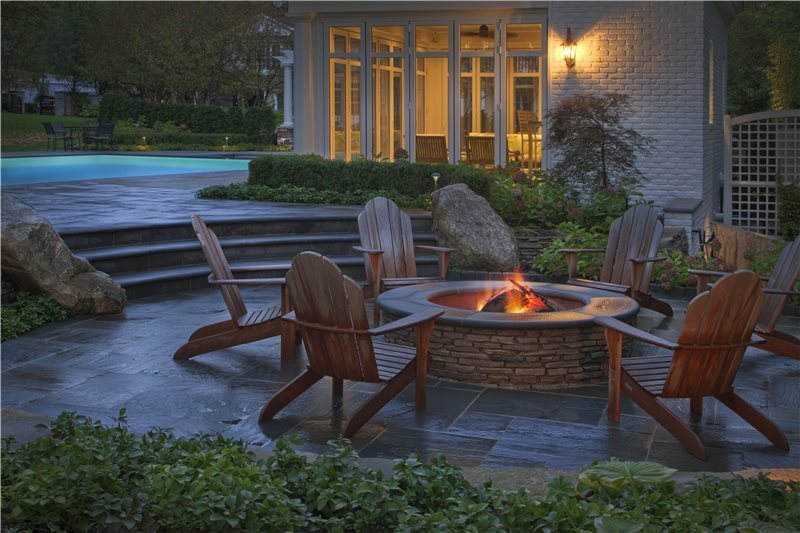 The size of this fire pit will comfortably accommodate six adults. Zaremba and Company Landscape in Clarkston, MI. The size of this fire pit will comfortably accommodate six adults. Landscaping Network in Calimesa, CA. 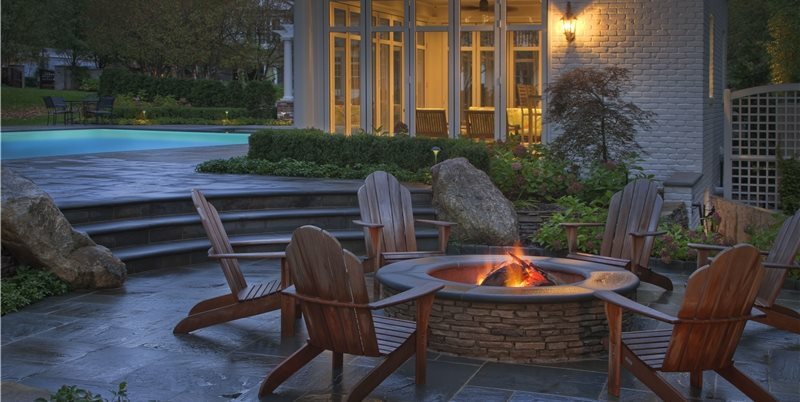 Learn how much space is needed to accommodate a fire pit & chairs. The size of your fire pit is something that must be considered beforehand. If your fire pit is too small, it won't put off enough heat and it will be hard for more than a few people to circle round. If your fire pit is too large, the fire could easily get out of hand and guests will have difficulty conversing because the distance across the pit will require raised voices. Smaller, more intimate fire pits are around 3 feet wide; while, larger fire pits suited for entertaining groups can be up to 6 feet wide. 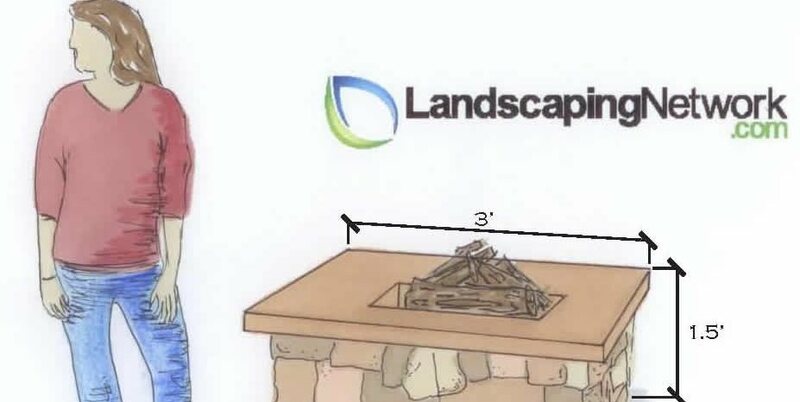 These measurements include the thickness of the walls, so realize that the total width of the fire pit is not the same as the width of the burning area. If opting for an above ground fire pit, height is an important consideration. If your fire pit is too tall, you won't be able to prop your feet comfortably on the edge. If your fire pit is too short, people will be bending and squatting to get closer to the flames. A good rule of thumb is to make an above-ground fire pit 12-14 inches tall. This is a few inches shorter than standard patio furniture seat height. If you want to be able to sit on the edge of the pit itself go a bit higher, 18-20 inches will be comfortable. 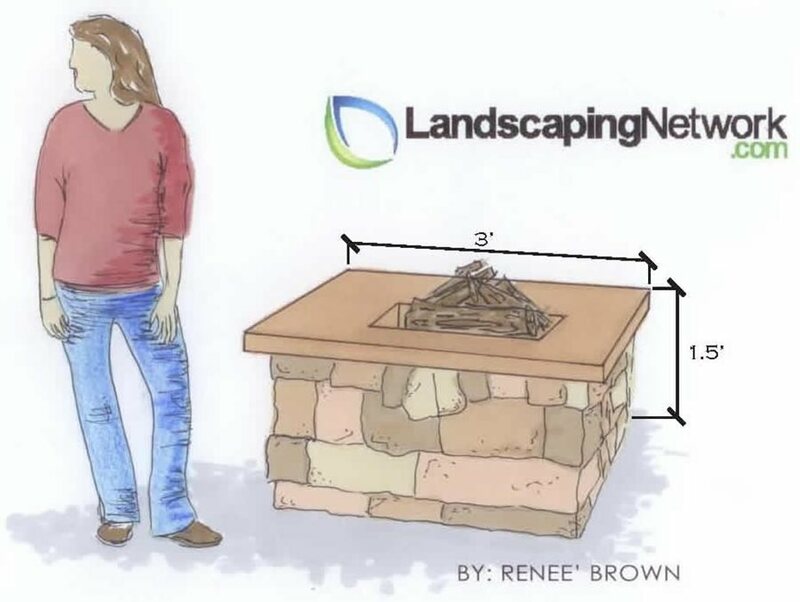 A fire pit any taller will actually hold heat in and make it hard to enjoy while sitting in chairs. Copyright 2010 - LandscapingNetwork.Com - All Rights Reserved.